The Go Industries billet grille offers a great clean aftermarket finish for your truck or SUV. Sturdy construction, one of a kind styling and easy application help this grille insert stand out above the rest. High quality, polished aluminum construction will resist corrosion and rust making the billet inserts shine for years. Go Industries uses a four step process to get a mirror finish on all of their billet grilles for trucks. Quick, easy mounting of this billet aluminum grille over your existing grille will have you back on the road looking stylish in no time. 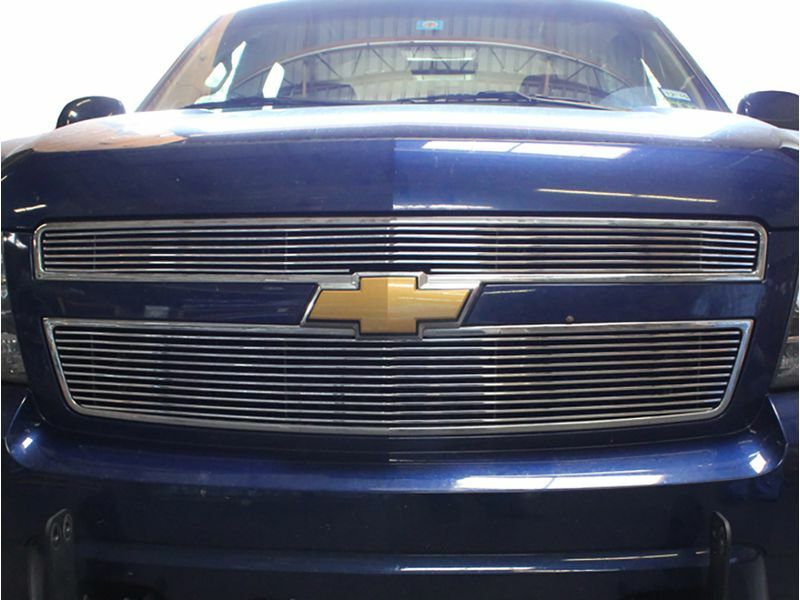 Make a Go Industries billet grille your choice for the extra style and shine on your ride. The Go Industries billet grilles offer an easy bolt over installation. Don't worry about having to cut or drill into your vehicle! For additional information, please call us toll free at 1-877-216-5446 or 701-253-5906.